Which pair do 당신 prefer? Note: This is for 야오이 fans! If you're not just ignore this poll. Do 당신 think that Obito pretended that he loves Deidara sempai? The fans pick: No, Deidara is his best friend! Obito was such a sweet kid, with huge dreams can 당신 believe all the things he did? What do 당신 think about his end? Do 당신 think that he will die? 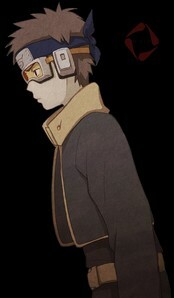 First I must say that Obito is my 가장 좋아하는 character from 나루토 now. I say now because we weren't sure if Tobi was Obito, but I'm glad that he is and I was expecting it! I can't wait to see him in the 아니메 too! Τhis may sound crazy to 당신 but the main reason he is my 가장 좋아하는 is the sudden change of his actions and the revelation of his true self.I never imagined that he would have such a capability to switch his behavior depending on the circumstance! I admire him for that and also adore his fighting skills (jutsu, genjutsu)! a comment was made to the poll: What do 당신 think about Obito's feelings for Rin? Who was/were Obito's best friend? I want 당신 to 코멘트 this.